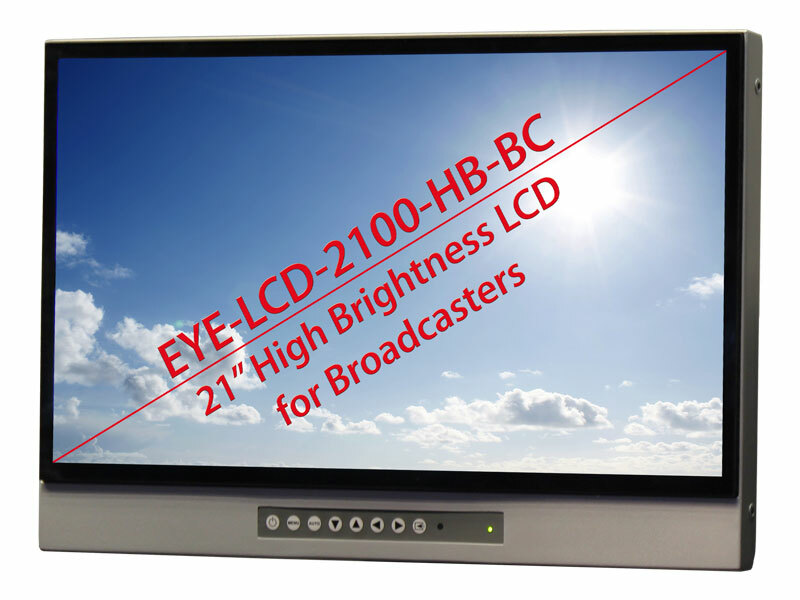 With the new EYE-LCD-1700-HB-BC-V2 and the EYE-LCD-2100-HB-BC eyevis presents its latest generation of preview monitors for broadcast applications. 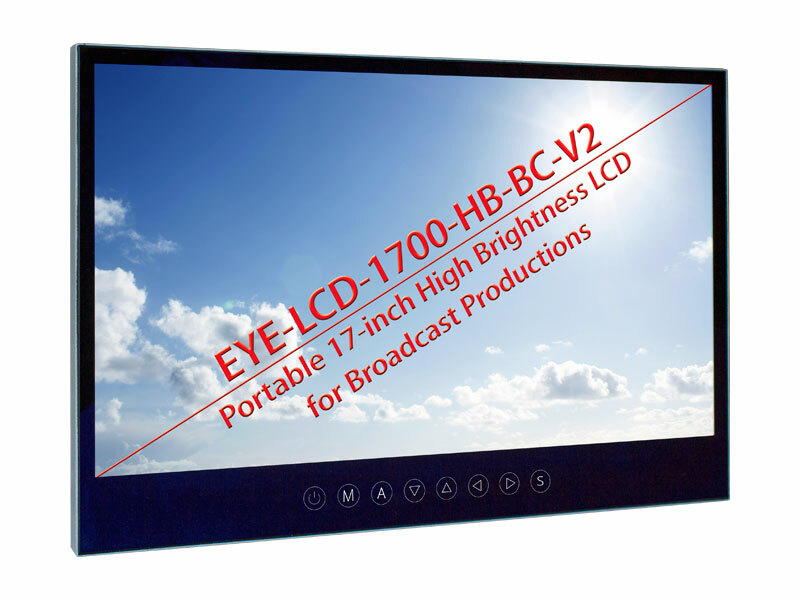 Compared with the previous versions, these new devices feature a bonding treatment allowing more contrast, more brightness and wider viewing angles. 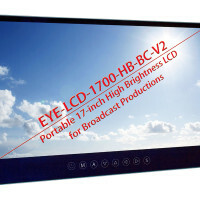 Both, the smaller 17-inch version and the larger 21-inch version provide Full-HD resolution with 1920 × 1080 pixels. 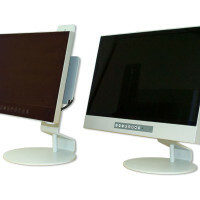 Both LCD monitors achieve a brightness level of more than 1000 cd/m2. Combined with a non-reflecting glass with optical bonding this guarantees best visibility even in bright sunlight. 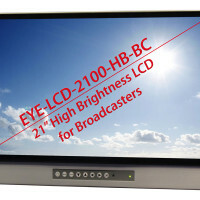 The displays feature all required connectors, loop-through functionality for camera signals (HD-SDI BNC In/Out) and the necessary timings for broadcast applications. 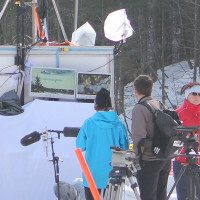 Thanks to their elaborate product design, the new LCDs are well suited for outdoor productions. 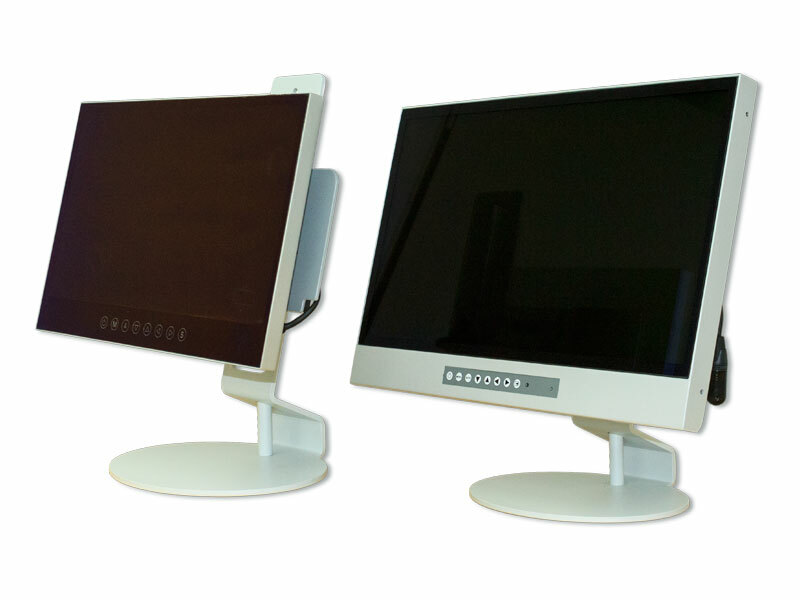 They feature a light, but robust metal housing (IP52 protection), VESA mounting plate, and an optional tiltable stand including connection and mounting for battery packs. In order to prevent accidental changings of the display settings, a cover plate was added to the front panel control buttons of the displays. Loop-through functionality for camera signals (HD-SDI BNC In/Out) and special timings for Broadcast applications. Optimised for outdoor productions with a light, but robust metal housing (IP52 protection), VESA mounting and an optional tiltable stand including connection and mounting for battery packs.